, a modern German philosopher of considerable eminence, was born Aprils, 1748, at Bremervorde, in the duchy of Bremen, of which place his father was a burgomaster. His father intended him for the study of divinity, but he devoted the principal part of his early years to the study of the classics, and soon made great progress in the learned languages. As he became more acquainted with French and German literature and philosophy, he gave up all thoughts of studying divinity with a view to the church, imbibing by degrees the fashionable infidelity of his contemporaries. 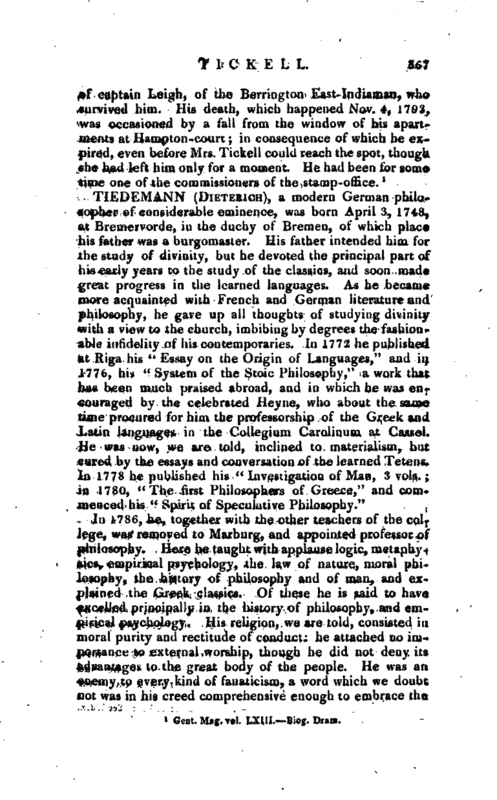 In 1772 he published at Riga his “Essay on the Origin of Languages,” and in 1776, his “System of the Stoic Philosophy,” a work that has been much praised abroad, and in which he was encouraged by the celebrated Heyne, who about the same time procured for him the professorship of the Greek and Latin languages in the Collegium Carolinum at Cassel. He was now, we are told, inclined to materialism, but cured by the essays and conversation of the learned Tetens. 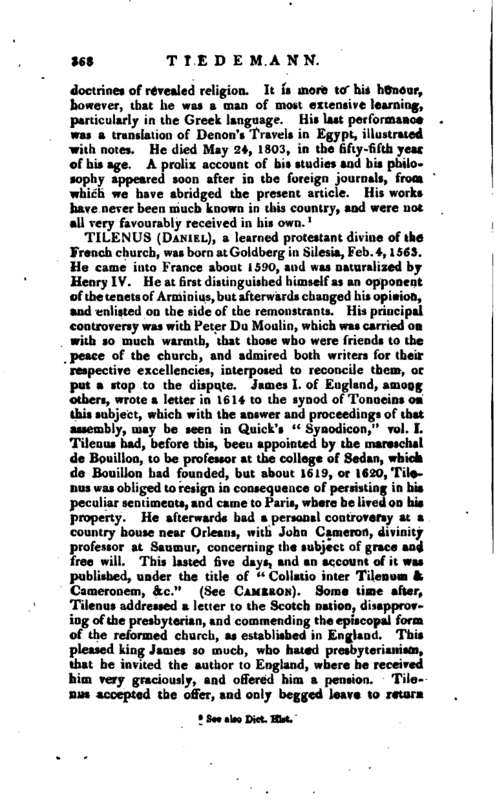 In 1778 he published his “Investigation of Man, 3 vols. ; in 1780,” The first Philosophers of Greece,“and commenced his” Spirit of Speculative Philosophy."